TER’s Top 5 in 2017! 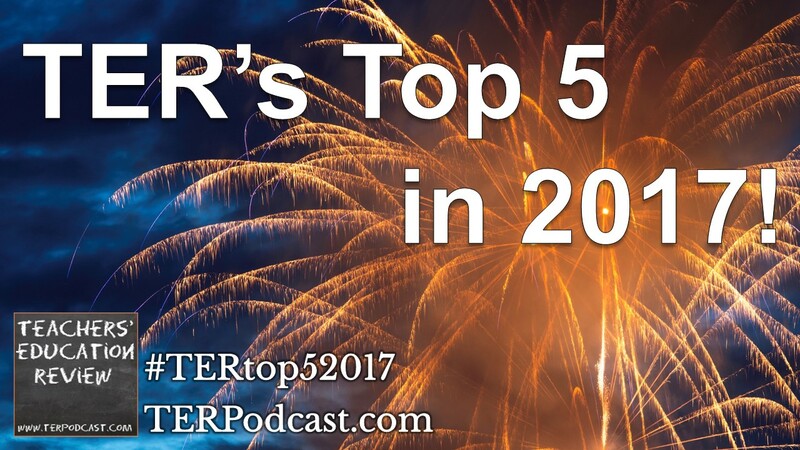 As 2017 draws to a close, here are the top 5 TER podcast episodes of the past year, judged by number of downloads between January 1st and December 31st, 2017! In 2017 TER episodes have been played or downloaded 66,494 times. That’s a total of 169,985 plays/downloads over our 4 and a half years of podcasting! Thank you to everyone who has listened to and shared our episodes throughout the year, and especially our subscribers who keep coming back each fortnight. While our main (and intended) audience remains in Australia, we’ve found listeners in over 50 countries [that’s the most SoundCloud will let us see]. The USA, UK, Canada and New Zealand fill out the list of the top 5 countries of TER podcast listeners. While this list starts with number 5, which was played 1,986 times, the 10th most played episode had 1,843 plays, and the 15th episode had 1,735 – and No 15 was only released in November! Those were the most played episodes in 2017, but was your favourite among them? Thanks for listening. We look forward to another exciting year of education podcasting in 2018! This entry was posted in Podcast Episodes and tagged Carol Dweck, Dan Haesler, Gifted and Talented, Helen Street, Inquiry Learning, Janet Clinton, Jim Watters, Literacy, Misty Adoniou, Motivation, Tanya Vaughan, Teaching and Learning Toolkit, Wellbeing by Capitan Typo. Bookmark the permalink.